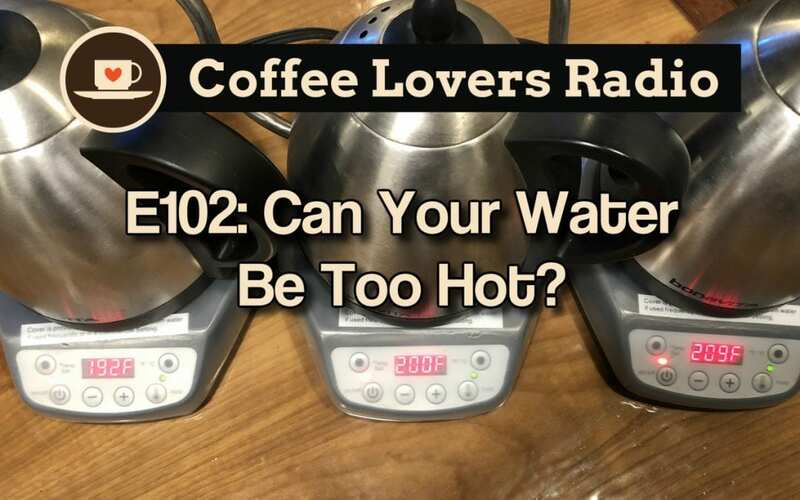 CLR-E102: Can Your Water Be Too Hot? In this episode, we attempt to address the myth that you don’t want to brew with water that is too hot – that you can ‘burn’ your coffee. In order to test the water temperature myth, we also brew coffee at a lower temp so we can share just how important a high water temperature is in your brew. We brew 3 V60s, one at 190F, one at 200F, and one at ~210F (just off boiling). Is brewing just off boiling going to ruin your brew? Will it be better/worse? On the flip side, what happens when you brew below 200?